Merrii Allwinner A80 OptimusBoard development board now shipping! 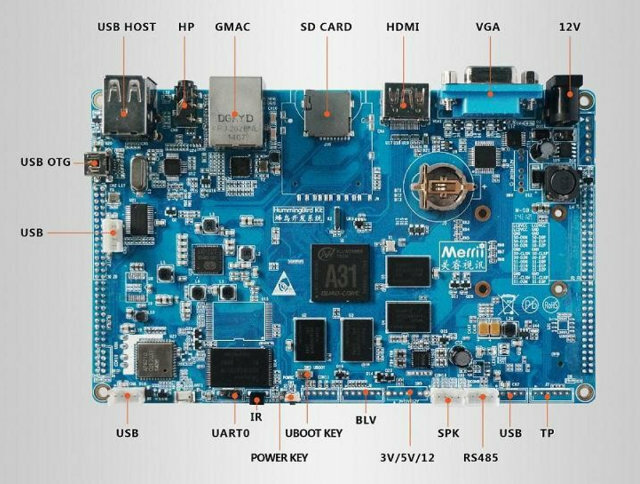 Merrii shows their A80 OptimusBoard, now shipping at their aliexpress.com store provides Android4.4.2 and Linux 3.4.39 support. 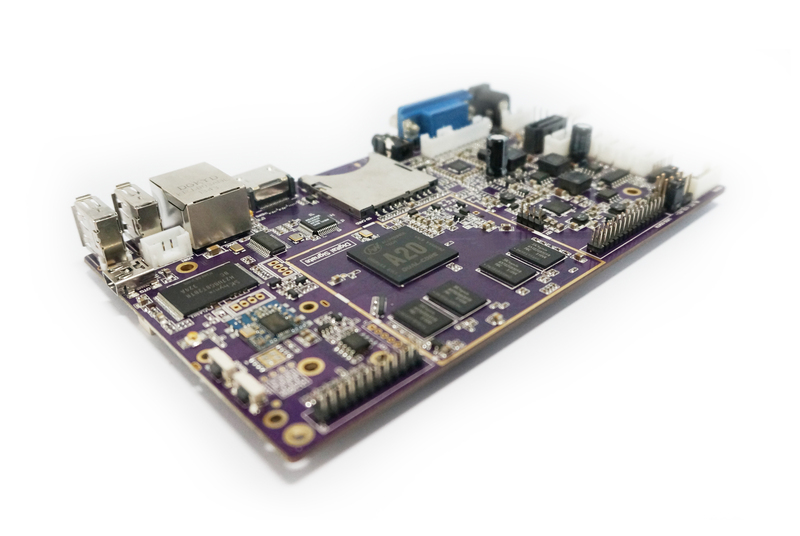 Merrii OptimusBoard is a mini board based on Allwinner A80 SoC, with two USB hosts, an USB 3.0 OTG, Gigabit Ethernet, WIFI, BT4.0, line in and HDMI output, EDP, LVDS/RGB LCD and GMA. 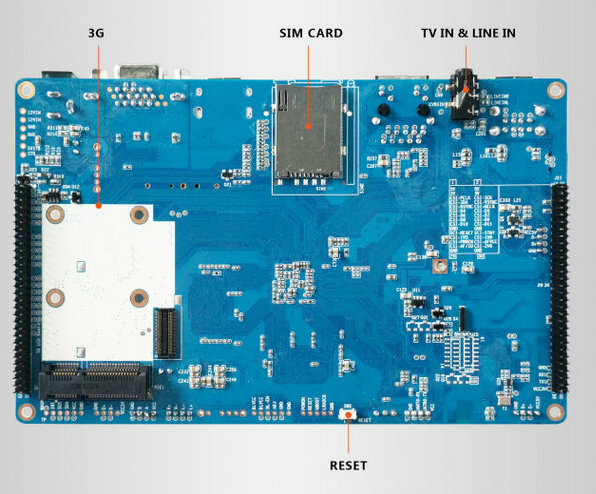 Allwinner A80 applies the UltraOcta core ARM big.LITTLE Cortex-A15/A7 structure, combining the performance of ARM Cortex-A15 and the energy-saving aspects of ARM Cortex-A7 with PowerVR G6230 GPU to not only improve system performance, but also to support advanced gaming support. In addition, A80 supports 4K*2K@30fps decoding, 4K*2K@30fps encoding and FHD 1080p@120fps encoding. 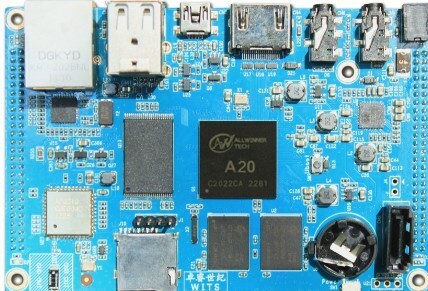 The A20 Hummingbird Development Board was introduced last November by Merrii, compared with that, the new A31 Quad Core Hummingbird Board has better performance. The A31 Hummingbird Development System is a mini board based on A31, there are two USB hosts, an OTG, a Gigabit Ethernet as well as line in and HDMI HD video output. Support VGA, CVBS input, MIPI interface, these parts are all integrated on the motherboard which is only slightly larger than a A5 paper. It has all the basic functions of a PC when connect TV and keyboard, such as spreadsheets, word processing, play games and HD videos etc. 1. Slightly larger than A20 Hummingbird. 4. Fully open source code and image. 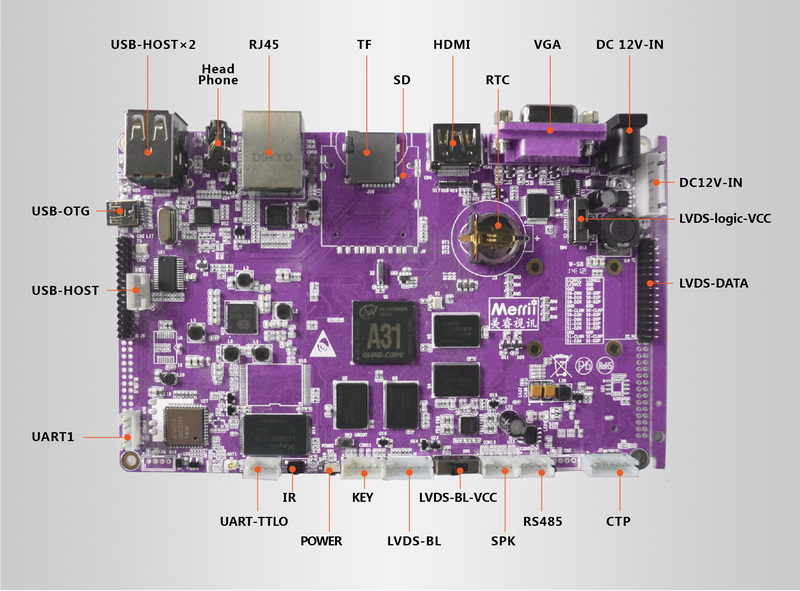 The Allwinner A31 processor is a Quad Core ARM Cortex-A7 equipped with a Power VR SGX544MP2 GPU. In addition, the highest A31 support 3840x1080 video encoding and decoding. 4. 15w*2 / 10w+2 amplifier on board. 5. Super stand-by function when power is lower than 0.5w. 6. 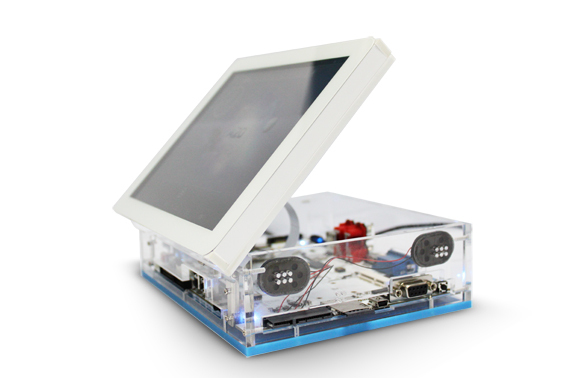 Supports larger screen and multi-touch. 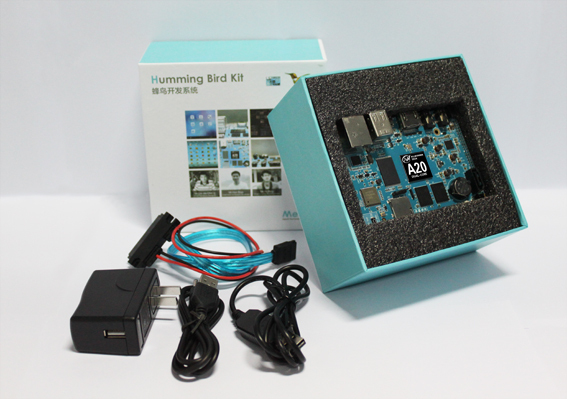 You can buy the Merrii A31 Quad Core Hummingbird Kit Here on their Aliexpress Store now available for $70 (+ $20 shipping)! 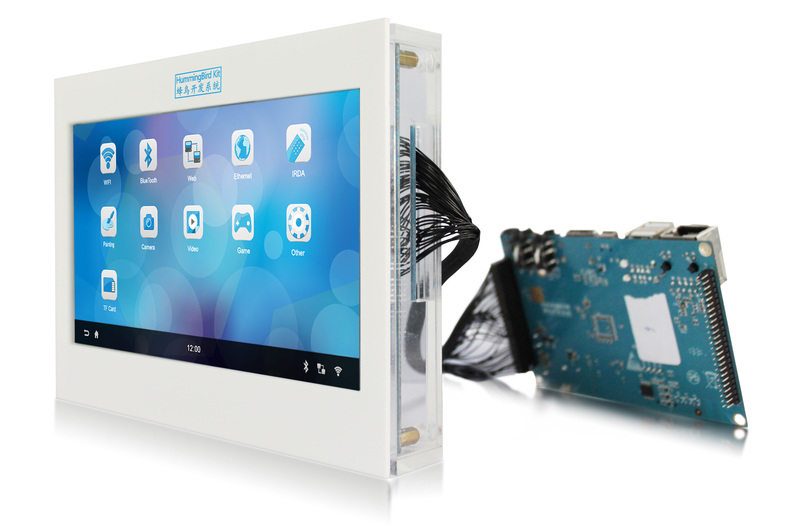 The Merrii Hummingbird Kit is a cheap $50 Allwinner A20 Development Board, with Android 4.2.2 and Linux 3.4 currently available officially. It has two USB hosts, an OTG, Gigabit Ethernet, line in, HDMI output. The Hummingbird motherboard which is only slightly larger than a credit card. It has all the basic functions of a PC when connected TV and to a keyboard/mouse, it can support things like spreadsheets, word processing, games, HD videos and more. Merrii provides a forum for Hummingbird enthusiasts, developers to share advancements developed for the system, the latest information of the A20 Hummingbird system will also be released through the forum. Users can download the official firmwares (Android 4.2.2 and Linux 3.4) separately by PhoenixSuit tool to burn to hummingbird development system, while Merrii also will provide Android and Linux SDK for enthusiasts to research. The Linux System GUI provided by Merrii is based on Qt 4.7.3 graphics library written, the function of this program is for individual system tests of a variety of OS resource. 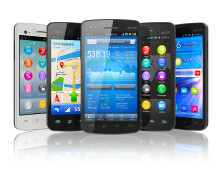 As we all know, Android OS is a very excellent OS, but the drawback is system structure is very large, it will consume more hardware resource and start slowly. Compared to Android, A20 Hummingbird Linux system will consume less hardware resources, start quickly and can run smoothly at a lower configuration and less cost. And if the user wants to do dedicated system rather than just a APK, then they can choose Linux, but the disadvantage is likely to develop cycle is relatively longer.